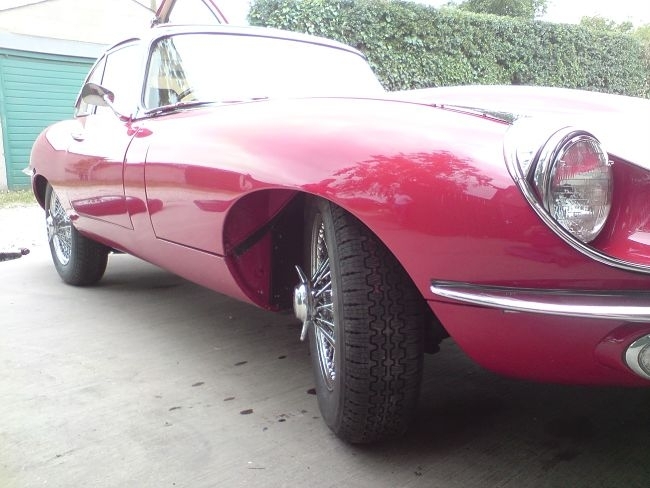 The first Jaguar XKE cars fitted Dunlop RS5 640H15 Bias Ply Tires. 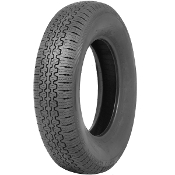 However often a radial tire was specified by the customer. At the time the Dunlop Radial 185HR15 SP41 was of an insufficient speed rating meaning that the XKE had to be speed restricted. The sport car tire of choice in the 60's was the Pirelli Cinturato as Jaguar offered this as the radial tire upgrade for the Series 1 XKE. 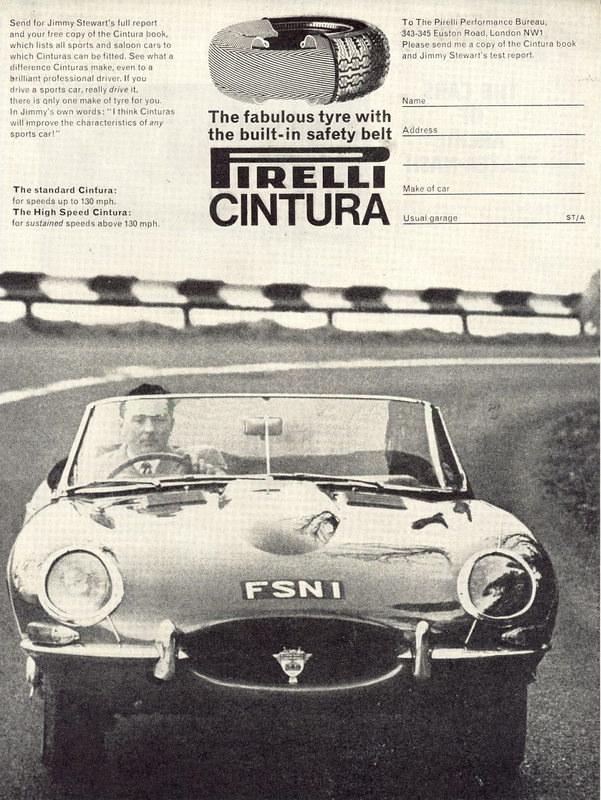 Today, the 185VR15 Pirelli Cinturato CA 67 is still the best tire for 6 cylinder XKE cars. In 1968 with the developement of the Series 2 XKE, Dunlop had developed the 185VR15 Dunlop SP Sport which Jaguar used as original equipement on the cars. However for those who could afford it the 185VR15 Pirelli Cinturato was still the tire of choice. With the Series 3 XKE Jaguar introduced power steering which allowed them to take advantage of the new low porfile tire technology. The Series 3 XKE fitted ER/70VR15. 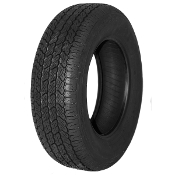 The tire size 205/70VR15 is the current way of describing ER/70 VR 15 tires today. An exellent option for a Series 3 XKE would be the Pirelli Cinturato 205/70VR15 CN12. When the Series 3 XKE was produced many people with the earlier cars wanted to make them seem more modern by fitting ER/70VR15 tires. Still today if you want to make your Series 1 or Series 2 XKE have fuller wheel arches a Pirelli Cinturato 205/70VR15 CN12 is an exellent option. However it is important to point out that in fitting 205/70VR15 tires to your early XKE you will probably have to remove the rear bump stops.